Birthday girl Azusa visits the media preview as part of her birthday celebration! 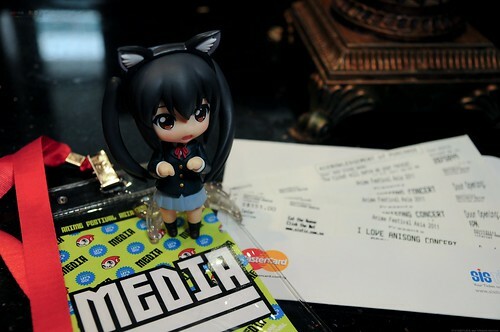 I just returned for AFA 11 Day 2 and i shall post about Day 1. Before i Process day 2 photos. An media preview is extended to all media for A recap of what is going to happened at AFA 11 and let them have a chance to get up close and personal with the I love ani-song artistes. Speedknight.com was invited to the preview and here is what we got on that day. I would realy really like to bring you the awesomeness of singapore very own MikuPA concert but however there wasnt any form of recording allowed but if you had followed my tweets closely, you would have seen my live tweets live from the concert. Yes we do have a chance to have a mass photoshoot with the artistes.